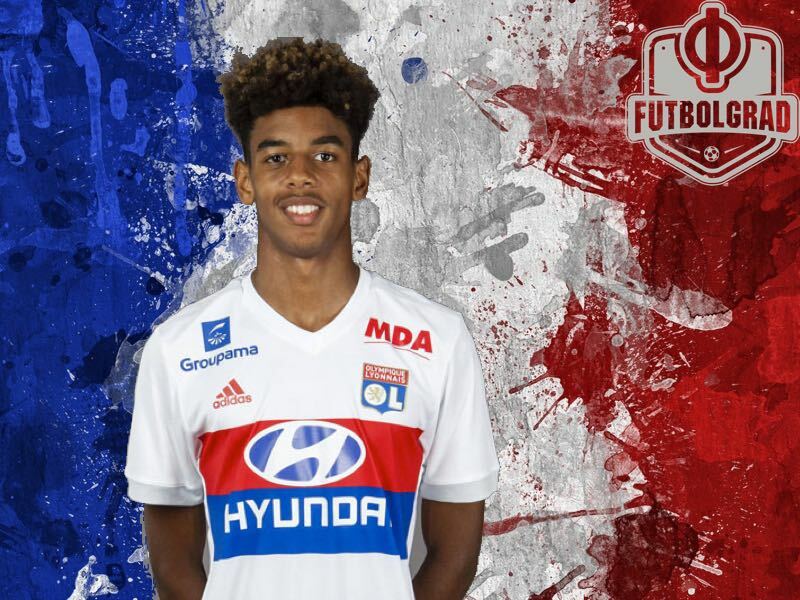 Willem Geubbels is the latest talent produced by the prolific Olympique Lyon academy. The 16-year-old has already featured twice in Ligue 1 and once in the Europa League this season and is by many considered one of the most talented wingers in France at the moment. It was, therefore, no surprise that the club has now hired former Southampton and Tottenham scout Paul Mitchell to take over as head of scouting and development at RB Leipzig. Also despite the failed transfer of Umaro Embalo Leipzig continue to target young talent from abroad. Mitchell is now supposed to revamp RB Leipzig’s youth infrastructure, a rebuild that will likely also include targeting the best talent from abroad. RB Leipzig, however, will not be the only club interested in signing the forward, who is rumoured to be reluctant to sign a new contract with Lyon. Bayern München are another German sidetracking the progress of Geubbels. The Bavarian giants have recently opened a new youth academy at the outskirts of Munich and are looking to mix young local talent with the best youth stars from around the planet. The interest by both Leipzig and Bayern München highlights the growth strategy of even the most prominent German clubs to continue targeting youth players before they turn into significant stars to compete with the likes of the English Premier League. Leipzig signing Mitchell, for example, will enable die Roten Bullen to scout English academies for the best talent, as young English players find it difficult to break into the top flight. Competition for Geubbels will, therefore, be high among the top teams in Germany. Bayern, for example, do not want to repeat the mistake they made when they missed out on signing Ousmane Dembélé. Thanks to Red Bull Leipzig in the meantime have the funds to compete with the big boys, but Financial Fair Play regulations make it difficult for die Roten Bullen to fight for the world’s biggest stars, and the club has therefore embarked on a strategy to purchase young players instead. What about Geubbels, however? Is the young French talent ready to make the step from France to Germany? 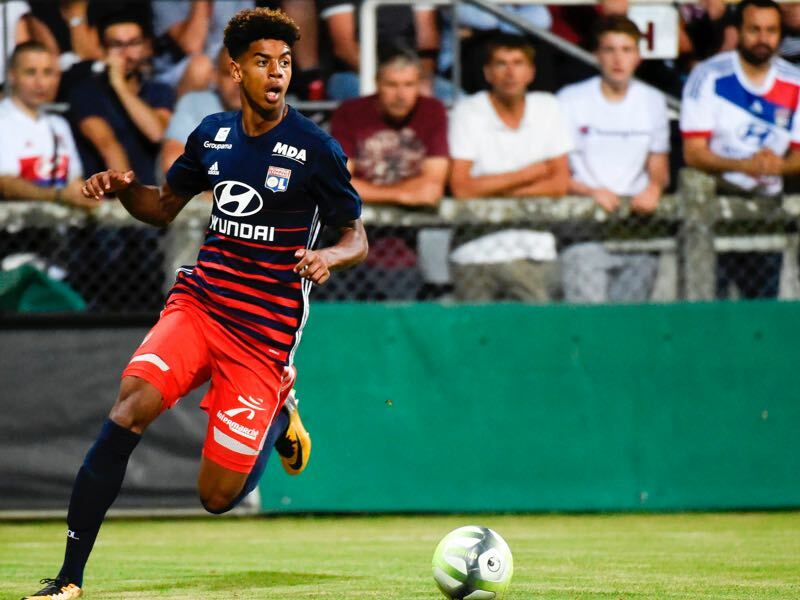 The fact, that the 16-year-old is already featuring for Olympique Lyon in Ligue 1—a league that has grown significantly in stature over recent years— shows that he is an exceptional talent. Furthermore, Lyon are one of the biggest clubs in the country, and although Bayern might be a step too far at the moment to gain first-team minutes, Leipzig could provide the sort of environment where he could train with the first team and play with the junior team, while also getting the occasional game in the Bundesliga. Speaking of Dembélé, it would be of course easy to draw parallels between the two players—especially as they share the same position. But the same position aside the two players are in fact very different. Tall at 185cm Geubbels is a player who defines his game through his athletic abilities. Instead of turning and shifting on a dime like Dembélé Geubbels prefers to take the more direct approach using his physique to break through defensive lines. Fast with a direct approach to goal, it would not be hard to imagine Geubbels having a similar career path to Pierre-Emerick Aubameyang, who also started his career on the wing, but then was moved to centre-forward by Jürgen Klopp during his second year at Borussia Dortmund. Watching Geubbels play, there is indeed a drive to score goals in the left-winger. But the winger also has an excellent eye for the man in the middle when playing out wide on the right wing—playing on the right wing he often crosses the goal when he is not going straight for goal running down to the byline finishing up the play with a sharp cross into the centre of the box—here his right foot is a great advantage. With a decent shot, it would be easy to imagine Geubbels also playing on the left where he could cut in and use his right boot to finish a chance with a curling effort. With a tremendous skillset available to him as well as the maturity to already play at the senior level at the age of 16 the sky appears the limit for Geubbels at the moment. With that in mind, it is easy to understand why top clubs are currently in the hunt to sign the winger.